Troop 19 strives to be a scout-led troop. Under the guidance of the Scoutmaster, scouts plan and carry out troop meetings and outings based on new ideas and traditions we hold dear. Weekly troop meetings are held on Wednesday nights from 7:30 to 9:00 p.m. in the historic Scout Hut, at the the top of John Hinkel Park in Berkeley, our clubhouse in the woods. Scouts work on advancement and merit badges, plan upcoming outings, play games, and, in the winter, chop wood and build a fire in the stone fireplace. Read more about the Scout Hut. We schedule at least one outdoor activity per month, including camping, hiking, skiing, boating and bicycling day trips. Popular outings include camping at the Pinnacles, joint trips with the Sea Scouts, an overnight in snow caves, and hiking the Fages Trail in nearby Wildcat Canyon. 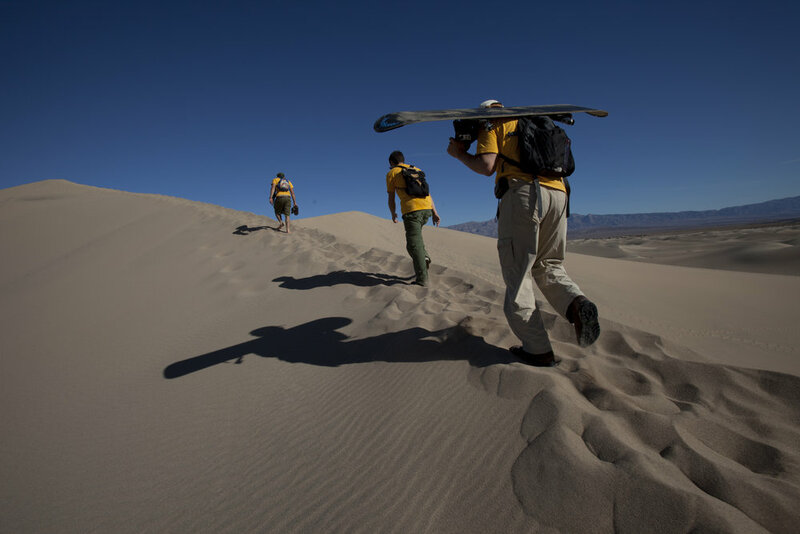 A perennial favorite is Troop 19’s four-day trek to Death Valley each winter. We camp at Stovepipe Wells and plan day outings to explore the diverse beauty of this amazing place, including Badwater Basin, Ubehebe Crater, and the sailing stones of Racetrack Playa. Bring your snowboard or toboggan for an unforgettable 300-foot ride down the face of a sand dune. Our trip was even featured in Scouting Magazine. In the spring, Troop 19 attends the Boy Scouts of America Camporee at Lake Berryessa, in which Boy Scout troops from around the region come together for a weekend of friendly competition and games, including the ever-popular stretcher relay. Scout meetings leading up to Camporee are spent honing skills and designing projects in preparation. In June, Troop 19 spends one week at Camp Wolfeboro, the Northern California BSA summer camp in the Stanislaus National Forest. Scouts work on merit badges and camp improvement projects together, while swimming, boating, and hiking opportunities abound. They come back filthy, tired, and ready to go again. As Scouts, we are called to be good citizens and give back. We engage in various service projects that enhance the Berkeley community and our environment, including Eagle Scout projects and serving meals to those in need.